Now one of China’s best-known novelists, Yu Hua was born in Haiyan, Zhejiang province in 1960 where his parents were both doctors. His education was encompassed almost entirely by the Cultural Revolution, following which he was assigned to a job as a dentist. Five years later he published his first short story in a Beijing literary magazine, and shortly thereafter moved to a job in the provincial level cultural bureau. Yu Hua was one of the generation of writers who began reconstructing modern Chinese literature in the 1980s and in the 90s began publishing a series of spare, simple, carefully-drawn novels. 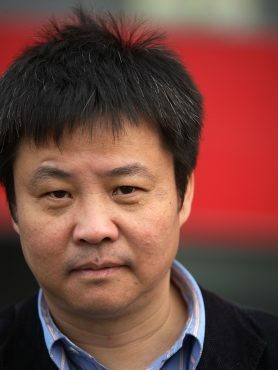 His latest novels, Brothers an ambitious tapestry of two eras of Chinese literature and The Seventh Day, a dark look at the plight of China’s underclasses represent a departure in style, length and subject matter from his previous work.